Another year has gone by and guess what that means, everybody… That’s right, you guessed it: the Nootropic Geek, the smartest geek on the internet, has become even smarter than last year, disrupting everything we thought we knew about the limits of the human mind. And how did I do it? That’s right, you guessed it again: with nootropics, baby. With the exponential rise in nootropic interest, the quality of nootropics have also substantially risen in recent years. And as a result, us nootropic geeks (i.e., consumers of nootropics), have substantially improved our brains’ health and functions. This phenomenon brings to mind Icarus and his supplementary wings that helped him achieve flight. What a wonderful story. (Admittedly, I never finished the story to the end, but I think I more or less got the gist of it.) 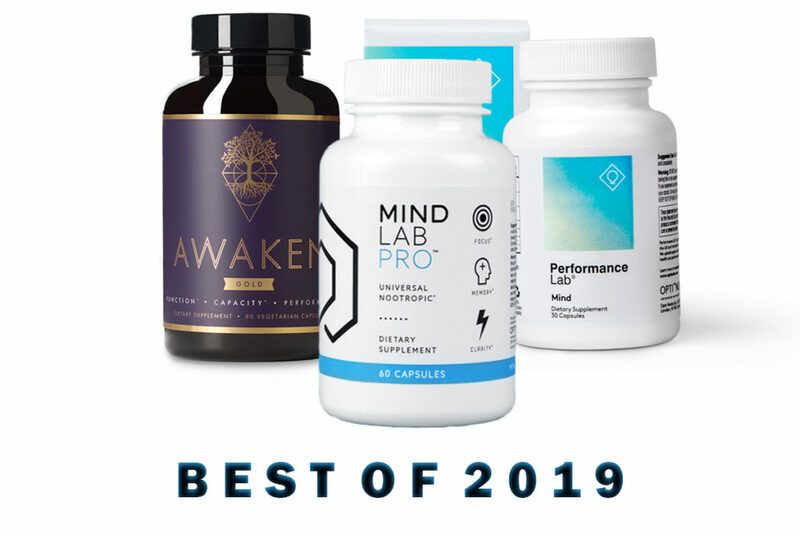 As we enter 2019, our mental abilities to “fly” (or think better) are soaring, and to keep this momentum we’ll need only the Best Nootropic Supplements in 2019 to keep our brains afloat. While nowhere near comprehensive, below I’ve listed a few of the best nootropics that’ll help keep your brain in top shape from now to 2020 and beyond. Enjoy! Here’s what makes Mind Lab Pro an easy entry on this list: Mind Lab Pro is a nootropic supplement that supplies all nootropics. That might sound like a ridiculously low bar, yet it’s crazy how many nootropic supplements fail to actually supply nootropics that work. Okay, that last entry is a bit of cute marketing; however, Mind Lab Pro has earned it with these ingredients. Altogether, these nootropics hit the key “pressure point” areas of mental performance, ensuring that all the important cognitive cogwheels are turning, rather than blasting the brain with an overwhelming amount of stimulation or narrowly focused energy boosts. The “pressure point” pathways addressed by Mind Lab Pro include: Brain Energy, Brain Chemicals, Cerebral Circulation, Brainwaves, Neuroprotection, and Neuroregeneration — all of the key pathways involved in optimized brainpower. Mind Lab Pro is an all natural, stim-free brain booster, meaning that it genuinely enhances the brain’s natural cognitive pathways without resorting to the cheap, easy rush of caffeine (which has a greater capacity to actually impair cognitive performance). Having said that, I know many of us can’t do without our morning cup of coffee. Fortunately, with Mind Lab Pro’s anxiolytic (anti-anxiety) compounds, such as L-theanine, this formula pairs well with external caffeine sources, reducing the jittery side effects of caffeine while maintaining its energy and focus benefits. Actual, noticeable mental performance boosts without resorting to cheap-O stimulants. Many nootropic supplements are gravitating towards this cleaner form of cognition enhancement, yet none do so as well as Mind Lab Pro, thanks to the supplement’s clever diversity of nootropic bio-benefits. Everything in this formula works towards 100% Brainpower from various angles, resulting in a fully optimized nootropic stack that may work for everyone; hence the supplement’s nickname: Universal Nootropic. Selecting clinically backed nootropics is one thing. Supplying them in their more enhanced, potent forms is another and says quite a bit about the company behind the formula. Mind Lab Pro hits all high marks across the board for its ingredient quality, as all ingredients are supplied in their most potent forms, including: BioGenesis® B Vitamins, Cognizin® Citicoline, Full Spectrum Bacopa monnieri Extract, Full Spectrum Lion’s Mane Mushroom, Sharp PS® Phosphatidylserine, N-Acetyl-L-Tyrosine, Suntheanine® L-Theanine, Rhodiola rosea Extract (std. to 3% rosavins, 1% salidroside), and Maritime Pine Bark Extract (std. to 95% proanthocyanidins). 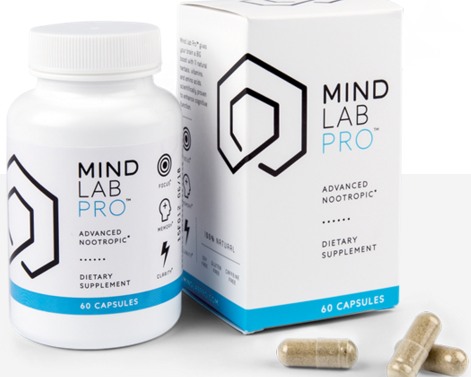 Mind Lab Pro continually upgrades their formula to include the latest and greatest nootropic ingredients and herbal extracts, as revealed by clinical research. The formula is great but also the capsules containing the formula are of exceptional quality. Mind Lab Pro fits its 11-ingredient stack into these awesome Plantcaps® capsules, reducing the use of unnecessary, junky additives that might otherwise impair the formula’s efficacy. Not only that but Mind Lab Pro avoids the use of proprietary blends and other shady shenanigans that many other supplement manufacturers use to obscure the weaknesses of their product. If I had to guess, I’d say you’re probably not really good at anything, right? Am I spot on there? Cholinergic memory and learning power. Proper oxygen and nutrient delivery to the brain. Citicoline – supplies choline for improved acetylcholine activity. N-Acetyl L-Tyrosine – boosts catecholaminergic (e.g., dopamine) levels. Phosphatidylserine – enhanced brain cell membrane structure and fluidity. Maritime Pine Bark Extract – increases antioxidant capacity and cerebral circulation. With these four nootropics, you’re covering the most important brain health bases for daily nootropic cognition enhancement. And what’s particularly awesome about this short stack is how well these nootropics work together towards boosting all-around mental performance. You may take only these ingredients and notice a significant improvement in your thinking over time. Or, if you’re like me, you may enjoy stacking this short stack with other awesome short stacks, sort of puzzle-piece-style, to meet my own particular brain health needs. My approach to better brain health involves a daily base stack underlying a series of “as-needed” nootropics that I use …well, when I need them. And Performance Lab Mind fulfills the daily base end of this equation. More with less. Performance Lab Mind is like that little guy who can squat 400+ pounds and bench over 315. 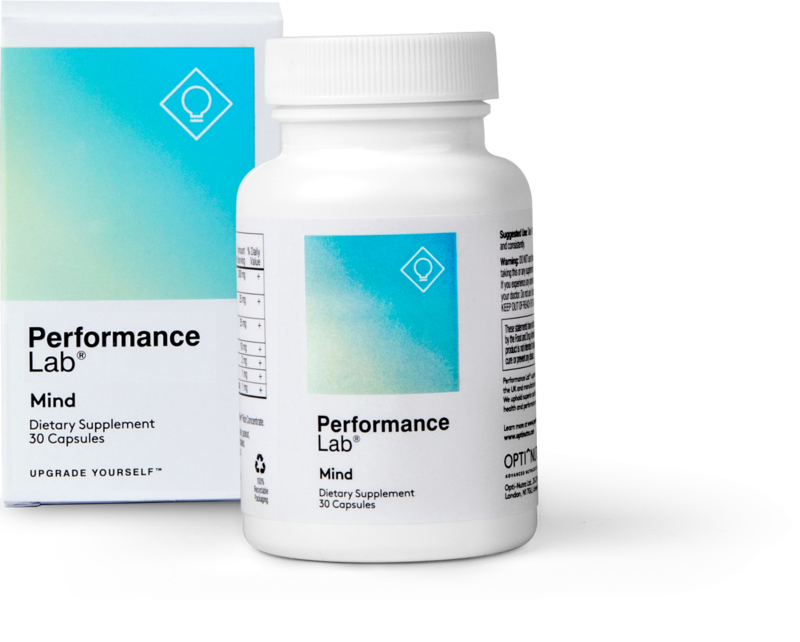 With only four ingredients, Performance Lab Mind accomplishes plenty of brain boosting and building, establishing a solid cognitive base with which to add more nootropics and natural performance enhancers as you see fit — and without fear of negative ingredient interactions. 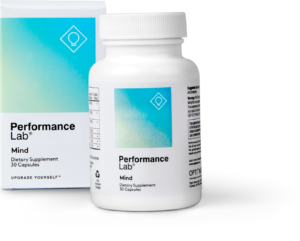 By supplying only four nootropic ingredients, Performance Lab Mind can pay additional attention to the quality and potency of those ingredients. And they do! — as demonstrated by the stack’s impressive, patented ingredients (Cognizin® and Sharp-PS®) as well as the enhanced forms of L-tyrosine (as NALT) and Maritime Pine Bark Extract (std. to 95% proanthocyanidins). Few supplements — nootropic and otherwise — can pull of the short, sweet, simple approach to healthy performance enhancement. If you can say more with less, you’re a better writer (or speaker) than most. Ditto for nootropic brain boosters: if you can accomplish more cognition enhancement with fewer ingredients, then hell yes — you’re doing it right. Okay, so you value the natural nootropics (or at least I do) yet you want something with just a little more oomph without compromising your long-term brain health or becoming addicted to some cheap-O stimulant. Well, here you go: Awaken Gold, Awakened Alchemy’s Noopept-containing version of their Awaken nootropic stack. I call this supplement a “bionic” brain health stack due to a predominantly natural nootropic composition that’s only slightly enhanced by a synthetic cognitive enhancer, the popular racetam-like Noopept. It’s sort of like the supplement version of those sci-fi dudes who are 90% human and 10% robotic arm. Noopept works like piracetam, except with more pronounced, immediate benefits. Despite tolerance build-up, Noopept is non-addictive and generally safe. In addition to enhancing cognition, Noopept may also improve NGF neuroregeneration. While many nootropic enthusiasts might be turned off by Noopept altogether due to the compound’s synthetic status, it doesn’t pose any significant health risks or concerns — if anything, the opposite. The first obviously unique feature (at least relative to the other two entries here) is Noopept. Few mainstream nootropic supplements carry it, especially in addition to other awesome nootropics. 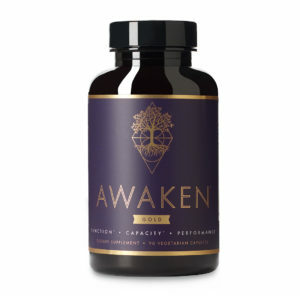 And what’s particularly cool about Awaken Gold’s Noopept is how it surrounds it with natural, brain healthy nootropics and herbal extracts, including the premium KSM-66® brand of ashwagandha. Vitamin B12 (as Methylcobalamin), KSM-66® Ashwagandha, N-Acetyl L-Tyrosine, Citicoline + Uridine (essentially leading to more uridine activity), Noopept, and BioPerine® Black Pepper Extract — this last one in particular improving the overall bio-availability of this formula. The only ingredient that might not work as well as people think: Beta Phenylethylamine (PEA). I get that this is a popular feel-good compound, and it’s theorized bio-activities make sense. Yet, it may lack oral bio-availability, reducing its overall effect in oral supplement form. However, if this is the only potential weak point here, I use this only to highlight the overall strength of this stack. And there ye be: The Best Nootropic Supplements of 2019. Of all the manufactured nootropics out there (and there’s a lot: just type “nootropics” on Amazon to see), these three are some of the best for go-to daily brain boosts — in my geeky opinion. Not only are these effective at enhancing brain health and function but they’re generally safe and well-tolerated for long-term use; even when paired with other awesome nootropics. With each year, we’re seeing an increasing push away from pharmaceutical brain pills and smart drugs and pull back towards natural health herbs and compounds; the type we’ve been consuming as a species for centuries. However, as technology progresses, so do the forms of these legendary health botanicals. With that in mind, I look forward to the progress we make from 2019 to 2020 towards promoting healthier, smarter thinking — regardless of how increasingly dumb the content of our thoughts seems to be. Quisiera saber si puedo tomar junto con mi pila de mind lab pro sulbutiamina o un racetanm? Y con que frecuencia me recomiendas. What would you recommend for adult ADHD? I second this. Would like to stay away from stimulants like Adderall etc. I’m having trouble deciding between Nitrovit and Awakened Gold…which would you recommend and why? Both are pretty solid stacks… however, I’d recommend Awakened Gold over NITROvit for at least two reasons: 1) Awakened Gold has more citicoline than NITROvit, 2) Awakened Gold has Noopept, a better “stimulating” nootropic than caffeine. The combination of Noopept and citicoline seems particularly promising, given they both participate in the cholinergic pathway — plus, if you want that additional caffeine, you can just stack Awakened Gold with your morning cup of coffee. 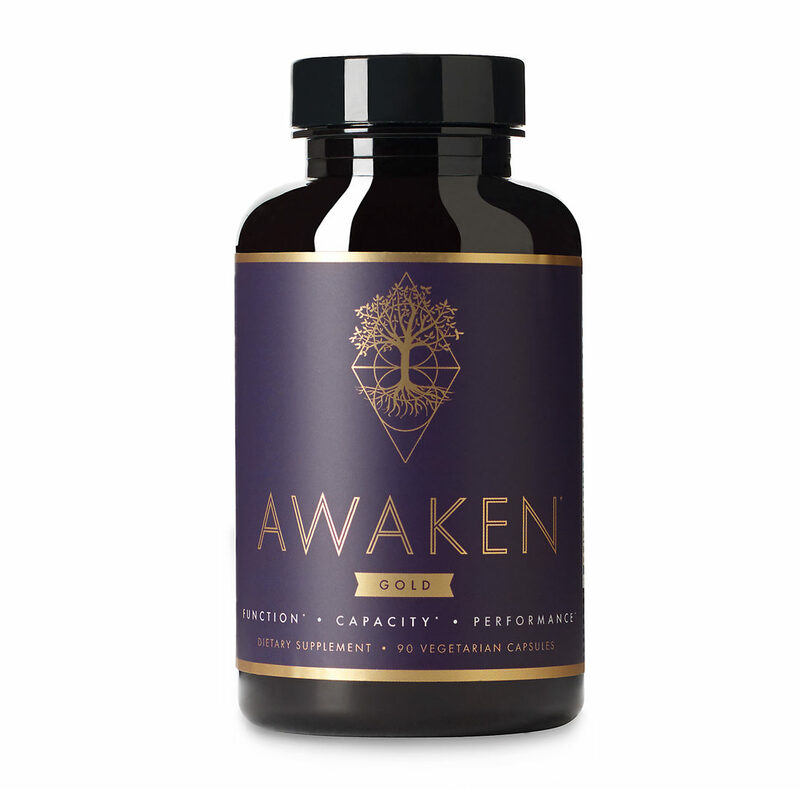 Awakened Gold also supplies ashwagandha and L-theanine, two relaxing compounds that calm the mind without impairing (or sedating) cognition. NITROvit simply lacks this sort of “cognitive calm” benefit with its caffeinated formula. And, again, if the caffeine is necessary, you can easily pair it with Awakened Gold. I have taken Mindlabpro on and off for months. Seems like it just doesnt have teh same kick really anything to enhance the effects. I feel like I need something stronger and longer lasting than Mindlabpro. Same, I used mind lab pro since 2018 summer, it worked really well for the first 6 months on and off. However, as of March 2019, it does not give me the same results, in fact, there is no effect on me. I believe mind lab pro has get used to my body which is probably why it doesn’t work anymore in me.